Navarro, who has counseled Trump to push back against China and European and other allies in trade disputes, described Germany as a ‘problem’ and hammered tariffs on auto imports, following the president’s slams on its energy policy. 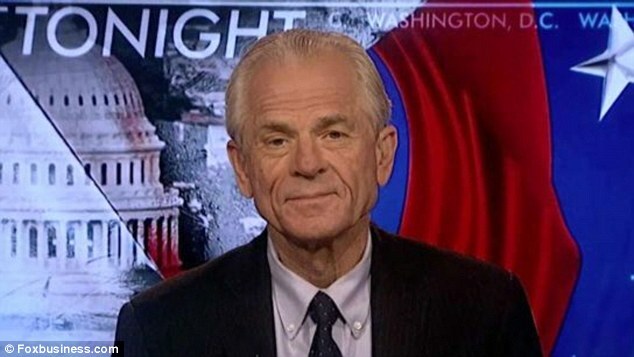 ‘Germany is a tremendous problem, both for Europe itself, and for the United States in this sense,’ Navarro told host Loud Dobbs on Fox Business Channel. ‘What’s more surprising, the fact that the President Trump is calling them out on that or that previous presidents haven’t?” he asked. 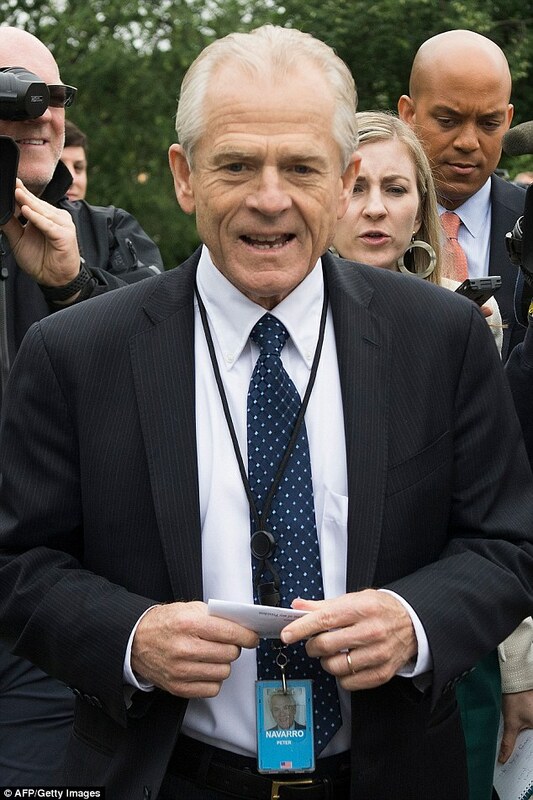 “It’s really extraordinary that Donald Trump has to be the person to point out that the emperor in Europe has no clothes,’ Navarro continued. Navarro also directly linked the trade and defense spending disputes. ‘Their tariffs on our autos are four times higher in their defense spending is one fourth of what ours is and Germany is the wealthiest country in Europe, spending on defense is much less than most of other countries,’ he said. ‘All President Trump is doing is pointing out of hard facts and the hard truth and saying hey look we are going to change this. And he’s holding Germany accountable as it should. ‘Not only had they not carrying their weight on defense it hurts us economically when they do that,’ he complained, saying it added to U.S. burdens. ‘Let’s make no mistake about this,’ he told Dobbs. 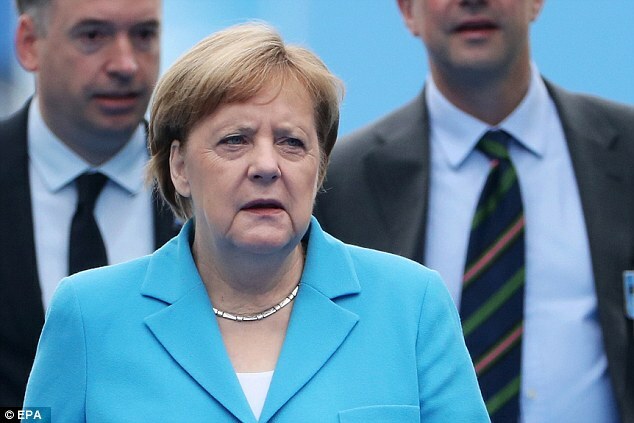 ‘When Germany and the rest of Europe don’t have to spend enough on defense, and we have to as taxpayers carry that burden they’re able to invest more in their private sector economy, grow their own economy at our expense,’ he said. Navarro’s slam on Germany’s trade practices came after Trump uncorked a blistering attack on Germany’s decision to seek a pipeline deal with Moscow. 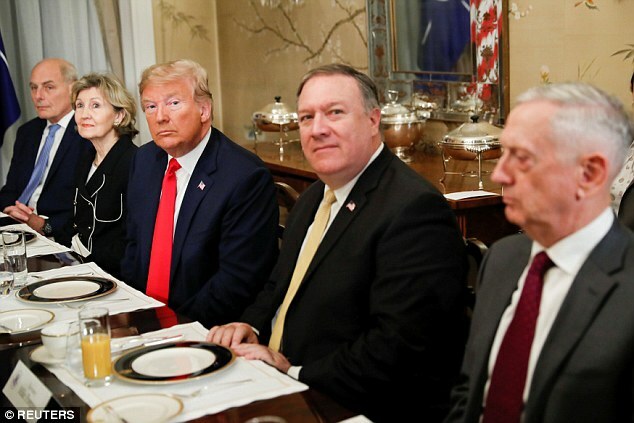 Trump continued the attack through the day after first raising it at a breakfast meeting. ‘What good is NATO if Germany is paying Russia billions of dollars for gas and energy?’ Trump wrote on Twitter Wednesday night. He was returning to his attack on an $11 billion pipeline deal between Germany and Russia. East Europeans fear the deal could leave them vulnerable – but it also redirects pressure on Trump, who is under fire for his own Russia issues and whose administration is facing off against special counsel Robert Mueller’s Russia probe. 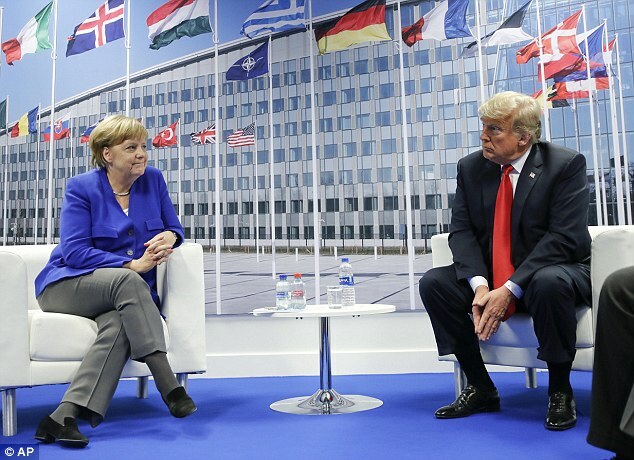 Trump fumed that ‘Germany is a captive of Russia’ and said the U.S. would ‘have to do something’ in light of the pipeline deal that’s funneling billions of dollars to Moscow. 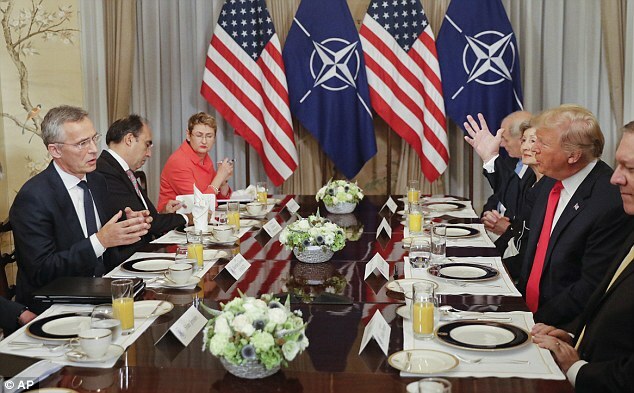 NATO Secretary General Jens Stoltenberg reminded him that the U.S. and Europe are ‘stronger together than apart’ and that has been proven by two World Wars and the alliance’s dealings with Russia.